Central Chambers is pleased to announce that, due to expanding work volumes in this field, we are looking for a full-time Family Clerk. 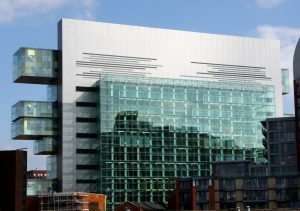 LOCATION: MANCHESTER base but may be required to travel to client’s offices on occasion. SALARY: TBC dependent on experience. HOURS: 9AM-5.30PM Monday – Friday though some additional duties may be requested outside of these hours. Clerks in tasks delegated. To provide support and assistance in the training and development of junior clerks. 1. Managing the family diary on a day-to-day basis and dealing with all relevant correspondence (emails, phone calls etc.). 2. Forward planning the diary for delivery of briefs. 3. Telephone bookings of hearings and conferences. 5. Computer recording of briefs and instructions. 6. Billing of private and public family briefs/paperwork. 7. Inform members of Chambers of their commitments for the following day and note diary accordingly. 1. Assisting in marketing activities in and out of chambers – notifying the Senior Clerk of new clients and possible leads. 2. Arranging of and attendance at Chambers seminars and events. 1. To ensure the implementation of the equality and diversity policy. 2. To promote a culture of continuous improvement by personal example and quality of contribution. 3. To take reasonable care for your health and that of other persons who may be affected by the performance of your duties. 1. Accurate recording of information. 2. Accurate information passed to members. 3. Knowledge and application of fee schemes operated by the LAA. 4. Agreement of all private fees prior to hearing based on correct factors. 5. Work allocation to appropriate counsel in good time for work to be prepared. 6. Work allocated to appropriate counsel avoiding conflict of interest and potential clashes where possible. 7. Solicitor feedback positive when a new or existing contact has been instructed. 8. High level of job satisfaction. Please send all applications to joseph.lynch@centralchambers.co.uk marked “Family Clerk” and marked for the attention of the Recruitment Officer. Please ensure that your covering letter and CV are in PDF or Word format (not “Pages”) and are ideally contained within one file. This is inline with our IT Policy. Documents submitted in Apple’s “Pages” format will not be considered.